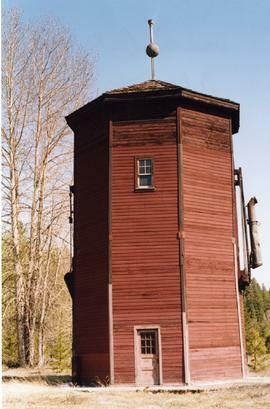 Photograph depicts an abandoned water tower. 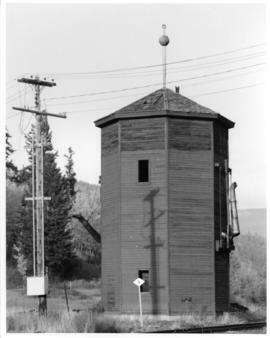 Handwritten annotation on verso reads: "Brookmere, BC"
Photograph depicts a water tower maintained by volunteers. 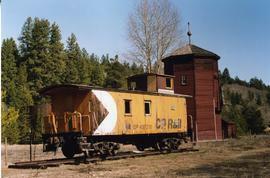 It moved to the present site from a concrete base near the KVR trackside. 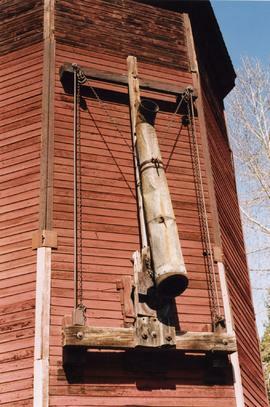 Photograph depicts details of a spout on a preserved water tank. 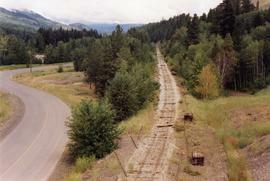 Photograph depicts a junction with the Coquihalla main line that had been so until 1959. 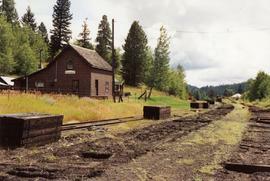 Photograph depicts the KVR depot in Brookmere. 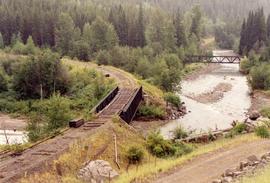 File consists of documentary photographs taken by David Davies of Kettle Valley Railway equipment found in Brookmere, British Columbia. 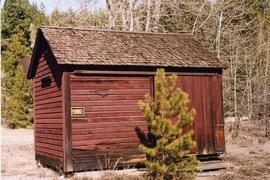 Photograph depicts a privately owned preserved shed that was in good shape considering it was not part of any scheme. It was found beside a water tower. 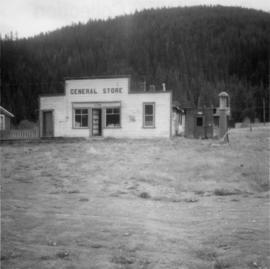 Photograph depicts the only store in the small, derelict village of about 12-15 houses of which only one is occupied. 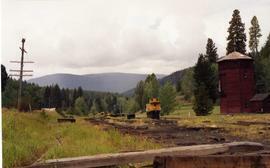 Photograph depicts a preserved 2-spouted water tank. It was not on its original site. 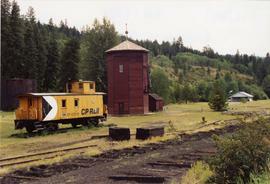 Photograph depicts a CPR preserved wooden caboose, dated 1947, and a water tank with 2 spouts.